Welcome to Class 4's page! Read below to find out all the exciting things we are doing in class! 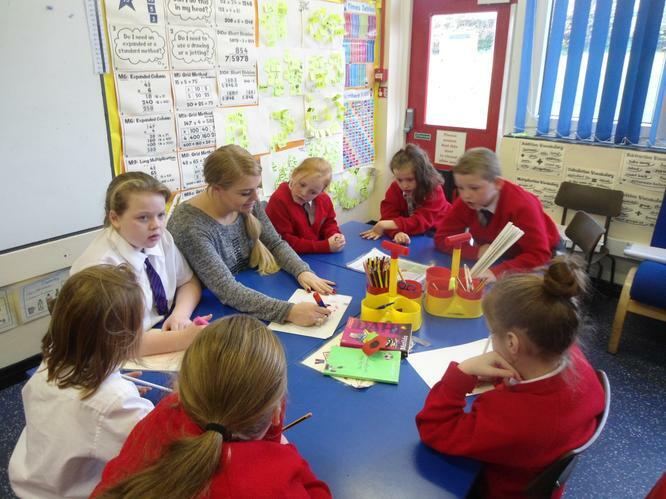 The morning sessions are currently being taught by Mr Brown, including; Reading, Maths and English lessons. The afternoon sessions are led by Miss Soens, including; Religious Education, Topic and Science. This term we focused on number. We looked at the place value of digits in a seven digit number such as hundreds of thousands, tens of thousands, thousands and hundreds. We were able to use the column method and grid method to both add and subtract up to five digit numbers. This term we will be looking at the characteristics of number. For example, we will be looking at factors, multiples, prime and composite numbers. We use math games to help with our understanding. We will also be learning to multiply numbers using different methods. The children will study and understand fractions, looking carefully at their relationship with decimals and percentages. This term we will be looking at measurements. We will be converting between millimetres, centimetres, metres and kilometres. We shall look at the relationship between these measurements and how they are related to one another e.g. 10mm=1cm, 100cm-1m, 1,000= 1kilometre. We will also be looking at imperial measurements involving weight (milligrams, grams, kilograms and tonnes), capacity (millilitres and litres) and time. We will expand our knowledge by completing time problems and converting between 12 and 24 hour times. We will be applying all of our knowledge of these imperial measurements and time to the related problems. We will also convert our knowledge by looking at area and perimeter of various shapes. We will also be looking at shapes, both 2D and 3D. The children will learn the features of these shapes, looking at sides, faces, vertices and edges. The children will expand their knowledge by looking at angles. The children will understand how triangles and straight lines total 180 degrees and circles and quadrilaterals all possess a total of 360 degrees. We will again apply this knowledge to solve missing angle sizes and measure these angles through the use of protractors and related apparatus. During the first term of school, we focused on Novels and Stories by Children's Significant Authors. We carried our work out primarily on Michael Morpurgo, analysing two of his books; The Butterfly Lion and Running Wild. We thoroughly enjoyed The Butterfly Lion, we acted out the characters and created our own stories. 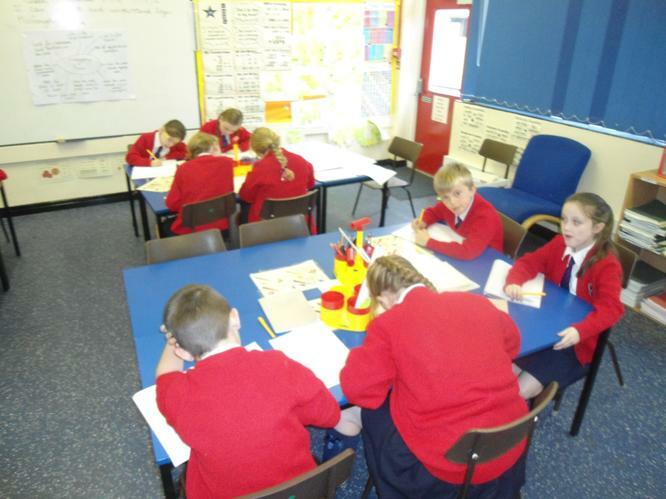 We were able to analyse the settings and work on creating a specific type of atmosphere for the reader. We created a story based on the classic, Pinocchio, using the style of Morpurgo and our own imaginations, changing characters and the setting. This term we will be looking at Poetic Style, Legends and Instructions. 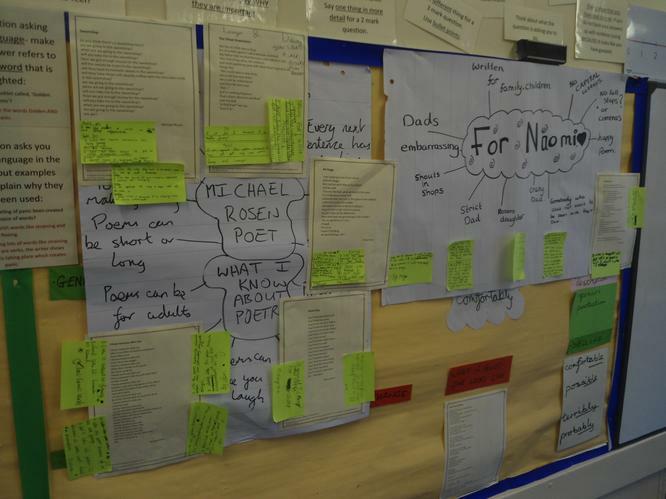 We are going to analyse the style of two poets, namely Michael Rosen and Roger McGeogh. We shall create our own poems based on their style, using our own imaginations to better them. In the Legends genre, we shall be looking Legends based in England and some from abroad. We will be analysing any truths surrounding these legends and deciding for ourselves whether they are factual or not. In our Instructions genre leading up to Christmas, we will be creating a set of instructions, instructing people how to sing Christmas carols and make some Christmas snacks! This term we will begin by discussing the features of recounts. We will be looking at a variety of stories and videos, whereby the children watch some videos of a variety of events; the first of which will be a visit to earth by a group of extra-terrestrial beings to a school in South Africa. The children will put themselves in the shoes of the children in this school and recount what they have seen, heard and felt when 8foot aliens approached them as they were playing in the playground. The children will also focus on a sky-dive from over 30,000 foot, watch a video showing such an experience. The children will incorporate their individual ideas to these stories, making it personal to themselves. The class will also be focusing on Classic Narrative Poetry, looking at the famous story of Charlotte Dymond which took place centuries ago. The children will memorise this story and create a related story map which they will interpret into a written story. This term the children be looking at Stories from Other Cultures in fine detail. We shall discuss the features of these stories, namely the fictional nature of these. The children will discuss reasons why these stories were comprised to begin with, giving reasons for various natural events e.g. Why is the sky blue? We will be creating our own stories, adding our individual ideas and creating our own cultural stories. We will then be looking into Older Literature. We will look at differences and similarities of this type of literature compared to modern literature. In the first autumn term, we looked at some educational games and the algorithms involved. We created our own games, instructing our characters (Sprites) on the Scratch programme. Our backgrounds were based on our topic, which was Liverpool. This term we will be attempting to debug various problematic programmes. We shall be working together to discover the problem and making suggestions on how to improve and fix the programme. In the spring term, we will be looking at the features of television presentation. We will look at reasons behind different types of video features e.g. camera angle, backgrounds etc. We shall focus our attention on Ancient Roman Sports and research the various types e.g. football, boxing, athletics etc. We will then conduct interviews, showing what we have learned, and using the knowledge of creating great camera shots. The children will edit these videos, adding captions, a title, credits, voice-overs, backgrounds etc. 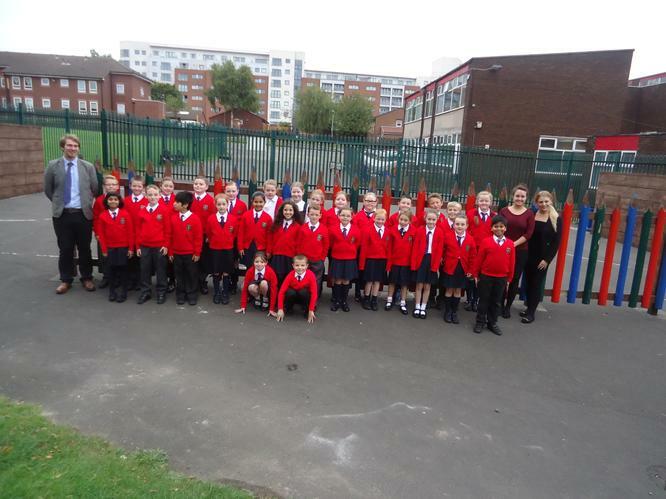 The children have taken part in lots of interesting and exciting lessons, exploring the city of Liverpool! Firstly we looked at the location of Liverpool on a map of Great Britain, on an atlas and then on a globe. We also made comparisons between villages and cities, using I.C.T to research the features. 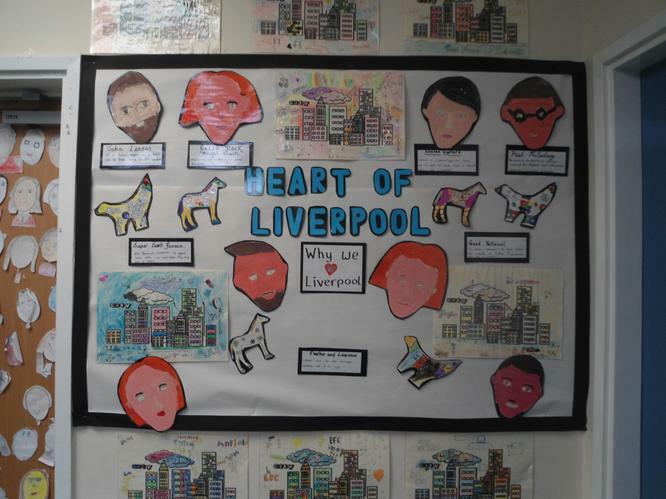 The children discussed lots of different features that make the city of Liverpool so special, like the Albert Dock, the Liver Birds, and the city's famous cathedrals! The children answered the question 'why are people attracted to live in cities?' and went on to produce some wonderful advertisement brochures. sketches and paintings of 'famous faces' from Liverpool including Steven Gerrard, John Lennon, and Cilla Black. They designed their own city skylines, and decorated 'Liverpool themed'cupcakes for Jack's fundraiser! Why is the River Thames so important to London? This half term the children can look forward to some exciting lessons exploring the country's capital city! The children will use I.CT to research the River Thames, and the different impact it has on the city. They will experience the sights sights and sounds of the river via an audio/visual journey on the interactive whiteboard in class. There will be plenty of opportunities for the children to experiment artistically in this topic, producing fun pieces of art based on the River Thames. 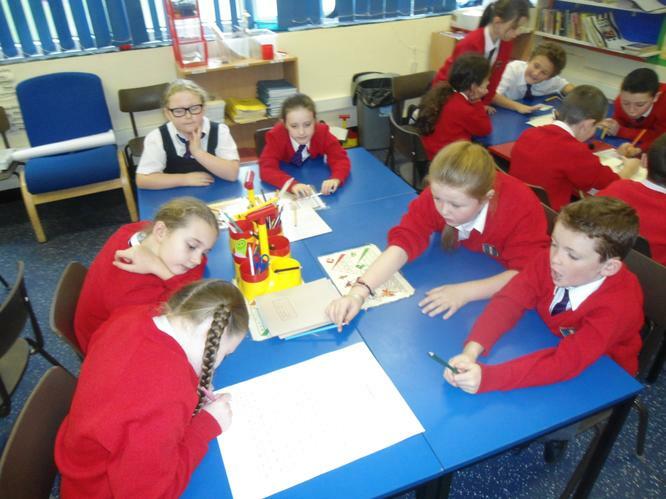 The children enjoyed this topic and liked exploring family trees; including their own, as well as Jesus'. They looked at the different factors that affect our family trees. The children created a class family tree, designing a leaf to represent themselves. The children have began to explore what it means to be 'chosen', discussing the different feelings we may have when we are chosen to do something important. We looked at the different sacrifices and responsibilities that come with being 'chosen'. Explore - What does it mean to be chosen? Reveal - The Sacraments of Baptism & Confirmation, the receiving of the power of the Holy Spirit. 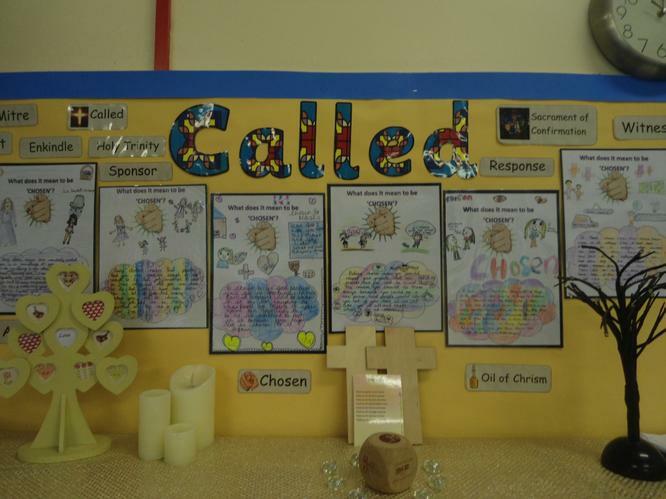 Respond - Celebrating the work we have done about Confirmation. The children have also spent a week last half term exploring Judaism. The children thoroughlyenjoyed learning about the Torah and the story of 'Rebecca at The Well'. The children really enjoyed the practical elements of this topic, using their bodies to demonstrate how sound moves through the air in waves. We explored pitch using straws at different lengths as miniature instruments. Autumn term, part 2 - The children have lots to look forward to during our current topic 'animals including humans'. So far the children have investigated the different types of teeth we have, researching their features and functions. They enjoyed exploring the different types of teeth in their own mouths, as well as matching different items of food to the teeth suitable to eat them with. Soon the children will be planning their own investigations to explore teeth further, before moving on to the digestive system and food chains.